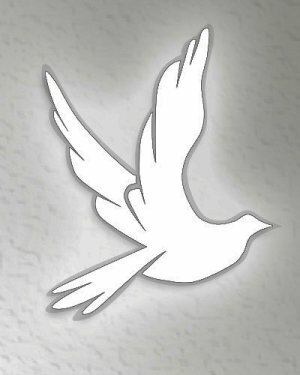 Archie G. Pemberton, Sr., age 77 of Robbins, TN departed this life on Monday, December 3, 2018 at Cumberland Village Nursing and Rehab in Lafollette, TN. He was the son of the late Evans and Alice Porter Pemberton. Archie was a faithful member of Barton Chapel and served in the U.S. Army. Preceding him in death are his parents; brothers, Floyd, Harold and Hank Pemberton; sisters, Christine Lewis, Irene Hogue and Mary Helen Clark; and mother-in-law, Flonnie Anderson. 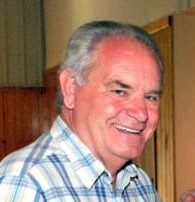 He is survived by his beloved wife of 44 years, Virginia Anderson Pemberton; sons, Kevin Anderson and Marie Lawson, Keith Anderson and wife Angie, Archie and wife Sheila, Jason and fiancée Sarah, Terrance Pemberton; daughter, Tiffany Pemberton Sexton and husband Shawn; grandchildren, Shay Anderson, Sasha Douglas and husband Josh, Macy, Mattie and Maylee Douglas, Darrian Pemberton, Stephen Boles and family, Maranda Boles and family, Bailee Pemberton, Katie and Jaycee Pemberton, Ashton, Nathan and Allie Sexton; special nephew, Harold Clark; sisters, Shearly (Barney) Shoemaker, Dorothy Kearny and Ynema (Rick) LaFuria; lots of nieces and nephews; other people of special mention, Durenda Byrd and Gina Duncan. Friends may visit with the Pemberton family on Thursday, December 6, 2018 in the chapel of West-Murley Funeral Home from 6 p.m. until time of the funeral service at 8 p.m. with Bro. Mike Smithers and Rev. Tom Stanley officiating. Burial will be on Friday, December 7, 2018 at 11 a.m. in the Sunbright Community Cemetery. Pallbearers will be his six sons: Kevin Anderson, Keith Anderson, Archie G. Pemberton, Jr., Jason Pemberton, Terrance Pemberton and Shawn Sexton. West-Murley Funeral Home is serving the family of Archie G. Pemberton, Sr.